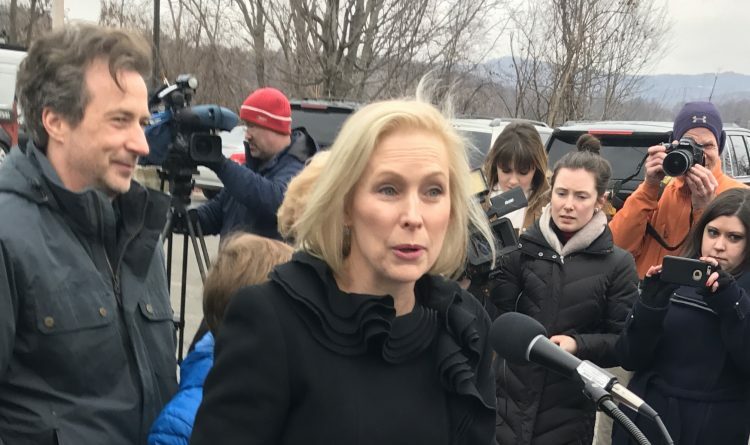 WASHINGTON – Sen. Kirsten E. Gillibrand has never portrayed herself as the presidential candidate of the 1 percent, but in a sense, so far, she is. The New York Democrat stood at 1.1 percent in Friday's RealClearPolitics average of polls in the race for the 2020 Democratic nomination. Eight candidates – including a former vice president, five of her Senate colleagues, a former House member and the mayor of South Bend, Ind. – have more support than Gillibrand does. She's in the low single digits in the key early caucus and primary states of Iowa and New Hampshire, too. All of this follows three months on the campaign trail in which Gillibrand held dozens of events and encountered some disappointments along the way. But her aides – who say that slow and steady wins the race – aren't worried. And several political observers said they shouldn't be. "It's so early in the process," noted New York Democratic consultant Hank Scheinkopf, a Gillibrand critic who now says her strong support of the #MeToo movement could give her a boost once voters start paying more attention. "To count anybody out at this point would be unfair." Gillibrand's first three months on the campaign trail seem to be marked, in large part, by tough questions and bad luck. Again and again she's been asked how she morphed from being a pro-gun immigration critic in the House in 2008 to being the proud progressive she is today. And again and again, she's offered the same answer. She echoed the views of her conservative House district back in the late 2000s, only to realize upon becoming a senator that she had viewed issues such as gun rights and immigration too narrowly in the past. "For people who aspire to be president, I think it's really important that you're able to admit when you're wrong and that you're able to grow and learn and listen and be better, and be stronger," Gillibrand said on a CNN town hall last week. "That is something that Donald Trump is unwilling to do." Gillibrand has faced tough questions, too, about a Politico report that one of her female staffers resigned out of frustration, saying the senator's office didn't properly handle the staffer's complaint that a senior male aide was sexually harassing her. Gillibrand dismissed that aide, Abbas Malik, after Politico presented her office with other allegations against him. The senator's campaign staffers insist that that controversy hasn't resonated beyond the Washington bubble in which it was produced. Thanks, perhaps, to bad timing, key moments in Gillibrand's campaign haven't resonated, either. She formally entered the race with a speech in front of Trump Tower on March 24 – the same day that Attorney General William Barr dominated the news cycle with the release of his summary of special counsel Robert Mueller's report on Russian meddling in the 2016 election. 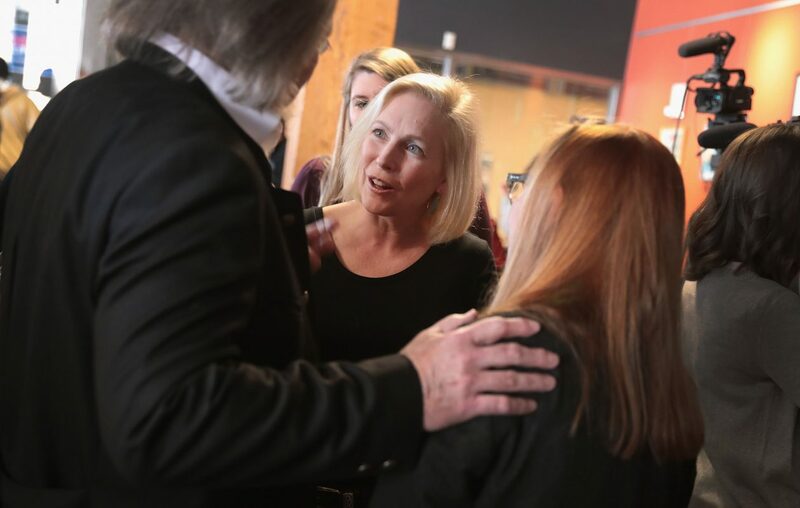 And when Gillibrand finally got the chance to do a CNN town hall last week – weeks after most other top-tier candidates – it drew the lowest ratings of any of the events, a fact that one Gillibrand aide attributed to "town hall fatigue." Gillibrand got a fundraising bump after the town hall appearance, but that's one of the few good signs her staffers can point to. She still hasn't released her first-quarter fundraising totals, a signal that she's likely behind several candidates in that key metric. Despite several trips to Iowa, she still hasn't exceeded 1 percent in any of the recent polls in the state that will hold the first presidential caucuses. And in the first primary state, New Hampshire, she had 0.9 percent in the most recent poll, published last week by the St. Anselm College Survey Center. "You have several senators in this race who should have national brands, and for some reason, that national brand is not registering with voters here," said Neil Levesque, executive director of St. Anselm's New Hampshire Institute of Politics. "Gillibrand is at the top of that heap." Gillibrand's campaign may seem stalled, but she can take heart in the fact that most other Democratic presidential campaigns seem stalled, too. Morning Consult, a global tech and media company, started regularly polling thousands of Democratic voters in mid-January. Since then, only one of the 18 Democratic candidates has seen a polling boost of more than 2 points: South Bend Mayor Pete Buttigieg, who has seen his support go from zero to 5 percent of the Democratic electorate. And only one candidate has seen a somewhat significant drop in support: Sen. Elizabeth Warren of Massachusetts, whose numbers went down 4 points. To hear political pros tell it, this is proof that the Democratic campaign has yet to take shape. Former Vice President Joe Biden – the leader in recent polls – still hasn't said for certain that he will run. And more candidates keep entering the races: Reps. Tim Ryan of Ohio and Eric Swalwell of California did so last week, and Sen. Michael Bennet of Colorado is expected to do so shortly. "Why would these three candidates who have almost no name recognition join a race already saturated with Washington insiders?" asked Amy Walter of Cook Political Report in a recent 2020 round-up where she answered her own question. "The current crop of frontrunners — or wanna-be frontrunners — do not look invincible," she wrote. Biden has been beset with controversy over the overly familiar hugs with which he tends to greet everyone in general, and women in particular. And Walter noted that while the second-leading candidate in most polls, Sen. Bernie Sanders of Vermont, raised $18.2 million in the first quarter, that's only about $3 million more than he raised when he was a little-known candidate four years ago. Lesser-known candidates appear to be taking different approaches to try to break out of the pack. Buttigieg used a series of high-profile media interviews to define himself as the smartest, youngest kid in the class – and it seems to have worked, at least for now. Former Texas Rep. Beto O'Rourke has been campaigning almost nonstop, climbing on restaurant countertops to get noticed. Sen. Kamala Harris of California has relied a bit more on big rallies. Warren, meanwhile, has offered the most detailed progressive policies of any candidate. Gillibrand is taking a different approach. As of early April, she's held more campaign events than any other candidate, according to an Associated Press tally. She's visiting coffee shops and holding town halls in all the early primary states. Her aides think those small venues play to her strength as a politician who can connect with voters one-on-one. That's an approach that's worked in the past for presidential primary candidates like the late Sen. John McCain of Arizona, the 2008 Republican candidate. But there's a downside to starting small. "It just takes longer," a Gillibrand aide said. "It's a grind." That grind may or may not pay off for Gillibrand, but it's too early to say that it won't. Remember that four years ago, Sanders stood at about 4 percent in the polls, 55 points behind Hillary Clinton – whom he nearly upset in their campaign for the 2016 Democratic nomination. And remember back to the race for the Republican nomination four years ago. "They had almost as large field as the Democrats do this time, and it felt like almost everybody had a moment where they got to be on top," said Debbie Walsh, director of the Center for American Women and Politics at Rutgers University. "I guess the trick is being on top at the right moment."